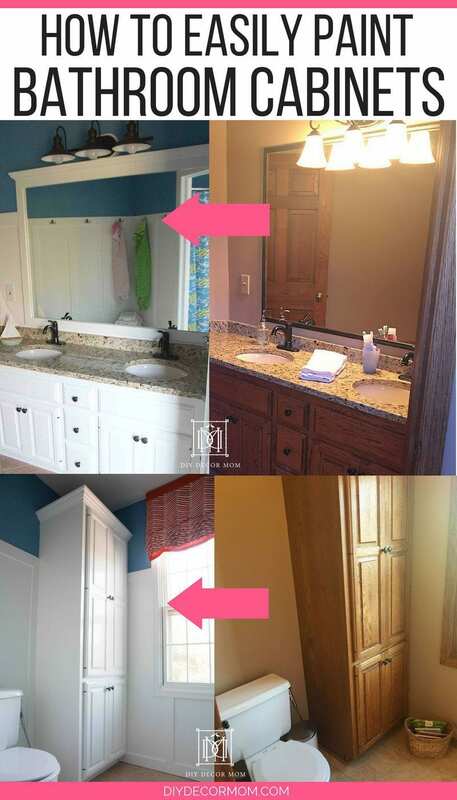 How to Paint Bathroom Cabinets: Why You Shouldn’t Sand Your Bathroom Cabinets. 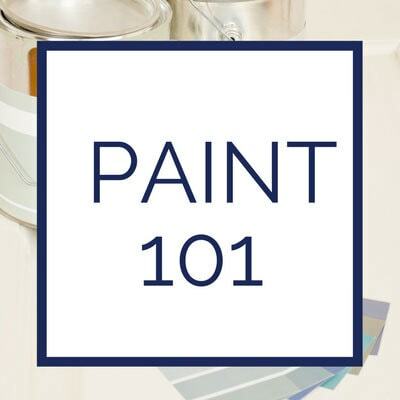 Looking to learn about painting your cabinets? 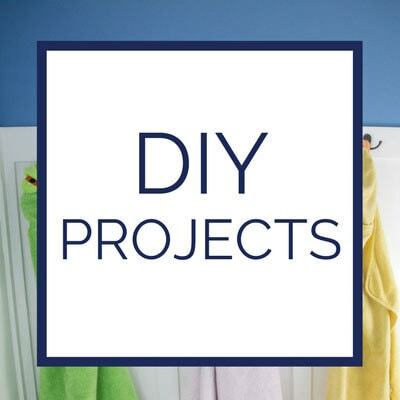 This step-by-step guide will show all the materials, prep, and steps on how to paint your bathroom cabinets. And answer whether or not you should use cabinet paint! 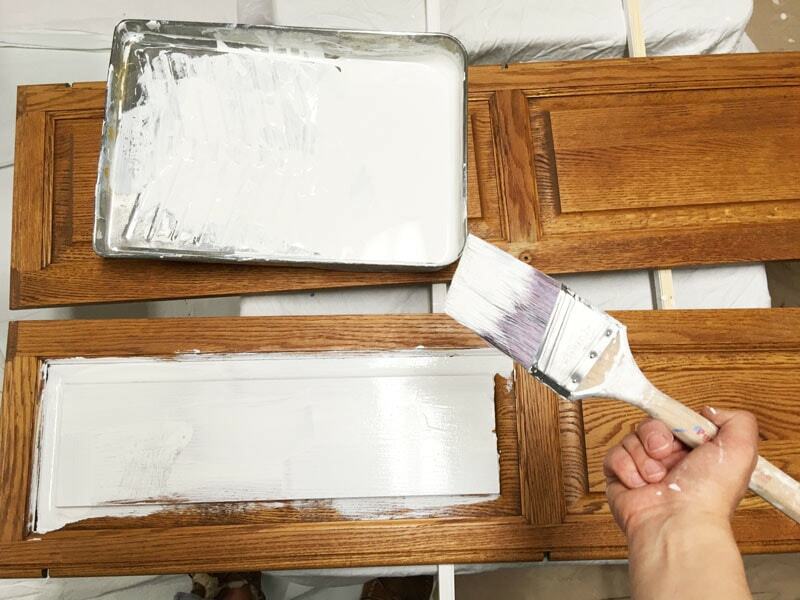 Contrary to popular belief, if you have old stained oak cabinets, you should NOT be using sandpaper on them prior to painting them white! Yes, I know this goes against a lot of what you hear elsewhere. But, I can tell you for a fact that if you sand your cabinets you run the risk of a bad paint job. I speak from experience! 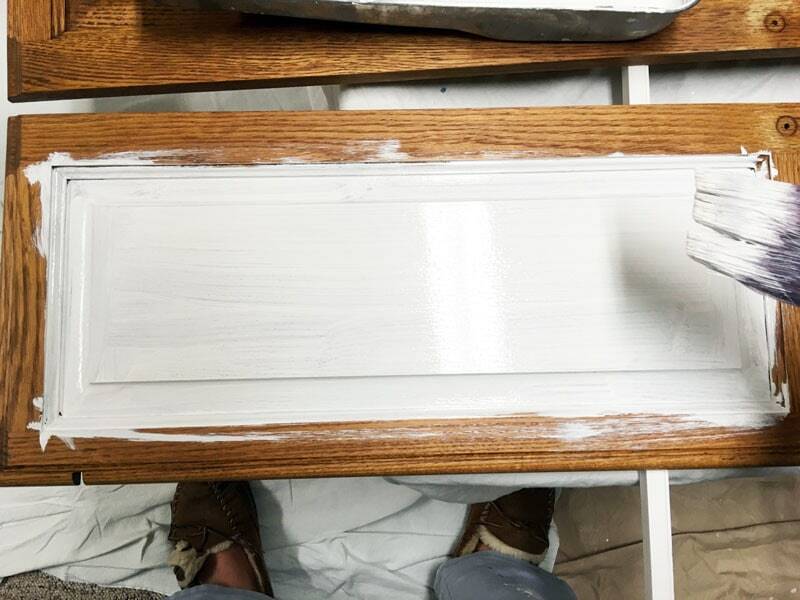 We have painted a lot of wood trim and wood cabinets in our house (see our most popular post–painting wood trim white here.) 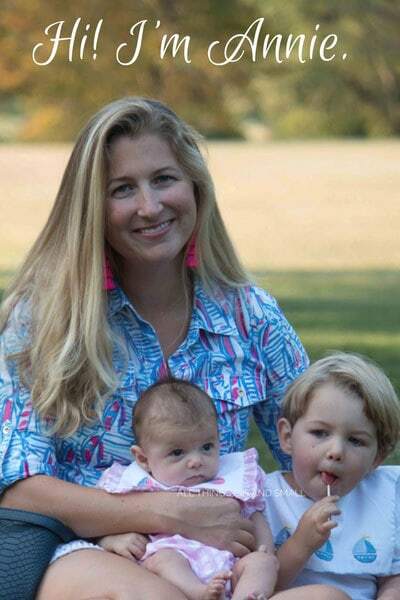 To date, we’ve painted thirteen rooms in our house all with old oak wood trim, including a pantry, a laundry room (with built-in cabinets) and two bathrooms. Along the way, we’ve experimented with different primers and different sanding techniques to get the best finish. 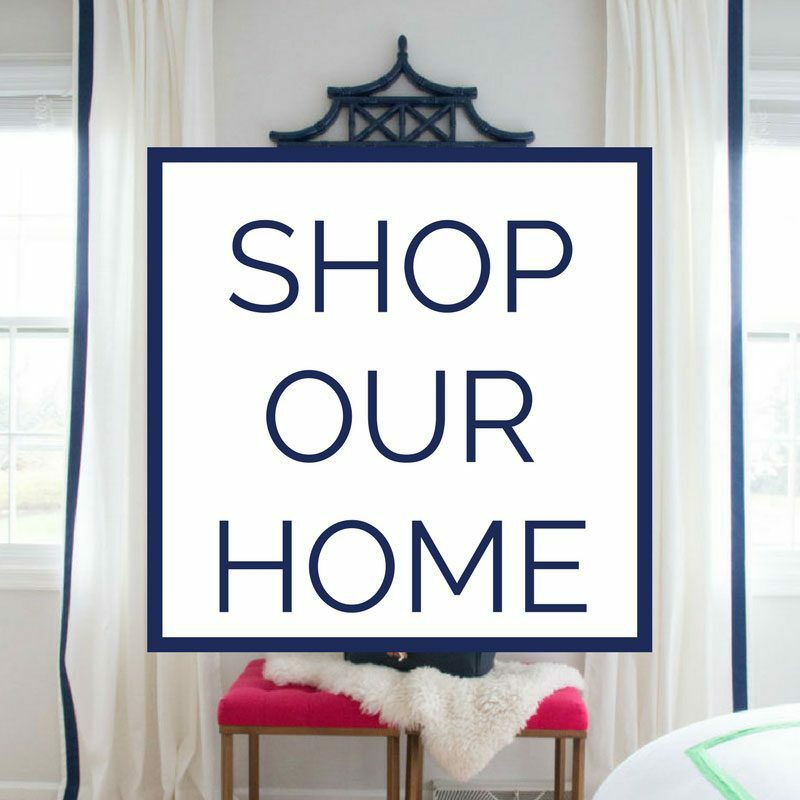 We’ve even written about how our experiments with Benjamin Moore Cabinet paint have stacked up compared to other brands. 1.) Remove doors from the frames and the hardware. Wipe down the cabinet doors and the cabinet with a wet cloth. Ours were pretty clean, and I used a microfiber cloth; but, you can also use just a mixture of vinegar and water to clean it. 2.) Next, it is time to prime the wood. Two coats of primer should do it for very dark oak wood like ours. The goal of the primer is to adhere to the wood. Because primer is a lot cheaper than paint (a gallon is about $20-25 for primer) vs. the $42-45 for a gallon of cabinet paint, I always do two coats of primer + two coats of paint. 3.) Paint light, even layers making sure to spread out with your paint brush any drops or puddles. Paint with the wood grain. You want to draw the paint out, start in the corner of the panel and move out. That way, paint won’t pool in the corners. 4.) After two coats of primer, it is going to look like this. You can see in the picture below, that I did the windows at the same time. 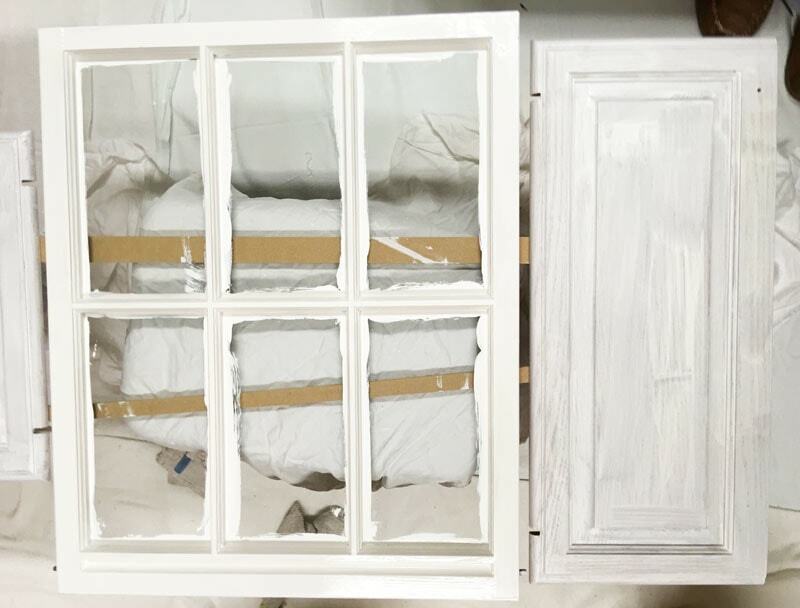 The window has two coats of primer plus one coat of paint, so you can see the difference just one coat of paint makes. Now, it is time to paint with the cabinet paint. Do two coats, letting it fully dry in between and making sure to avoid any drips. 5.) Let the paint harden for at least 24 hours. I let ours harden for a good 48 at least before I screwed the hardware back into it and mounted the doors to the frames. For our pantry, I waited seven days before I re-hung our pantry doors. The longer you give it to cure, the better. Some say that the paint doesn’t completely harden until three weeks after painting. The number one thing we have learned is that you should not use sandpaper too vigorously. We recommend you use these instead (plus they are cheaper!) 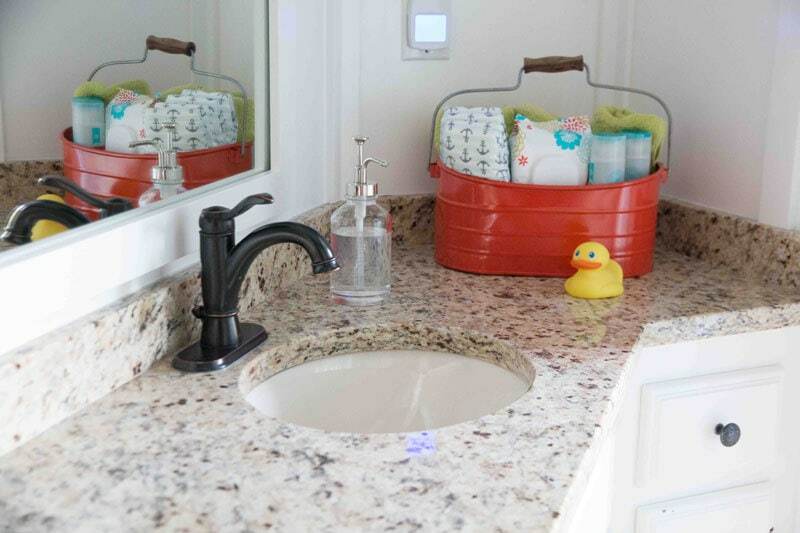 Give your bathroom cabinets a once-over with ’em and call it a day! We used sandpaper and thoroughly sanded our laundry room cabinets and one year later, we still have a significant leak through. The white paint has weird striations and looks yellow in many parts. This happens when you sand down the top layer of varnish on old stained oak cabinets or wood trim and open up the layer of the wood stain. The wood stain is going to permeate all of the layers of paint if you reopen that layer up. Instead, what you want to do is use these sanding pads to simply scuff up and knock-down any uneven spots. Do not try to get all of the varnish off. The objective here is to rough up the surface so the primer has something to grab. Does it matter which primer I use? What grit sandpaper should I use on my wood? Don’t use sandpaper! Use these abrasive hand pads instead. They are cheaper, and are easier to use! 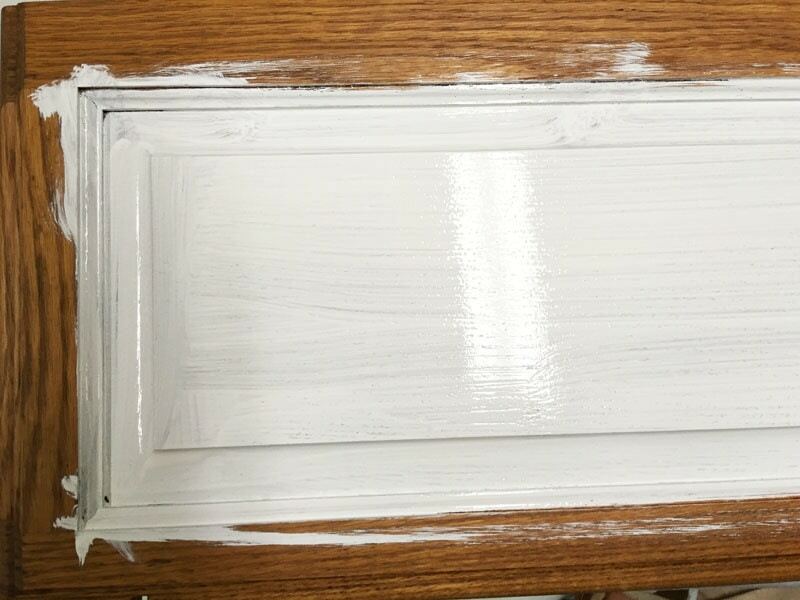 What type of paint do you use for painting a bathroom vanity? To paint a bathroom vanity or bathroom cabinets, I use Benjamin Moore Advance–a special type of paint that is specially made for cabinets. 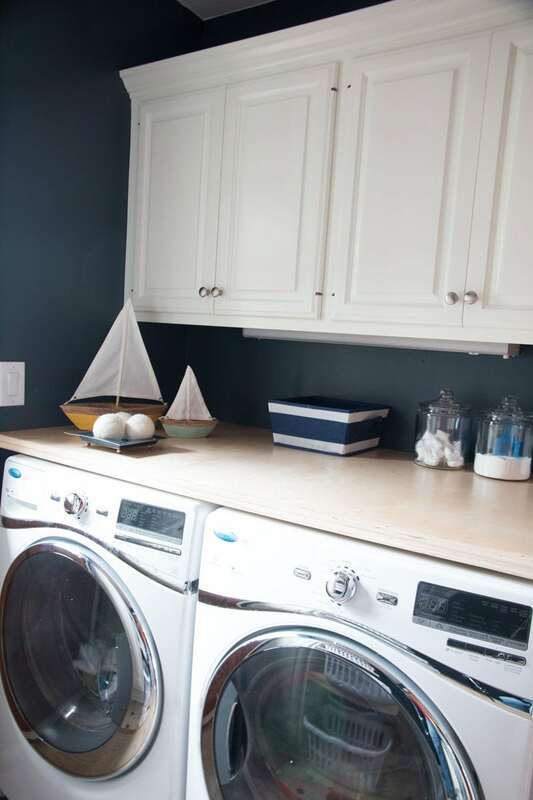 (See my complete review of Benjamin Moore Cabinet Paint here). It has a harder finish and is more robust than typical semi-gloss that I use on my wood trim. It has “self-levelling” capabilities which means that it is supposed to go on more evenly. If your cabinets don’t get much wear-and-tear, you could also get away with using a semi-gloss but it won’t be as robust in the long run. 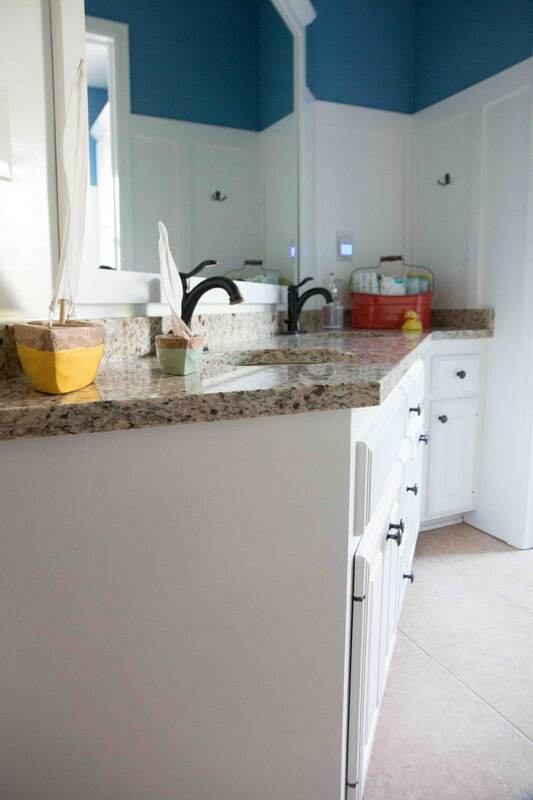 In our own house, the previous owners painted the kitchen cabinets the wrong type of paint and two years later they look horrible–paint chips and scratches everywhere! What is the difference between cabinet paint and regular paint? Cabinet paint like I explain above is a more robust paint that is self-leveling, has a harder finish, and goes on thicker than normal paint. My favorite is Benjamin Moore Advance (a waterborne alkyd paint); but, I have also used Sherwin Williams Water-based Enamel Paint. Comparing the two, I liked BM better but SW dried quicker and had a harder finish initially. Should I use oil paint to paint my bathroom cabinets? I personally don’t work with oil paints because I am a clutz and would worry about oil paint getting on my house; secondly, in our area oil paint is only used by professionals. Third, for air quality concerns I choose to only work with zero to low VOC products in our house. If I were hiring it out and starting from scratch, I would definitely commission a kitchen painted with oil paint because it’s the hardest finish. As it is right now, I am happy with low VOC alternatives. 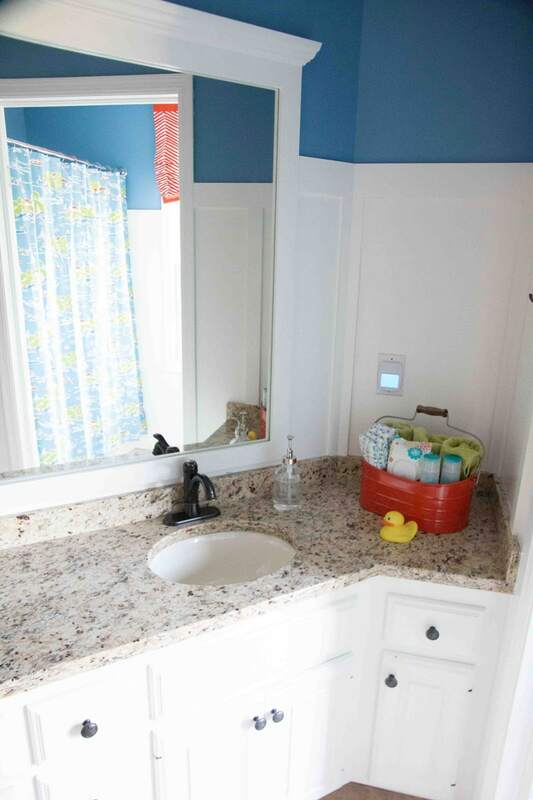 Should I spray my bathroom cabinets with a paint sprayer? Spraying the paint with a paint sprayer (we have this one) will give you a more flawless finish than hand-painting or hand-rolling them. We used a paint sprayer in our back hallway and with our pantry doors and the finish is definitely better than our by-hand cabinets. That being said, spraying is a big undertaking with all the set-up involved. 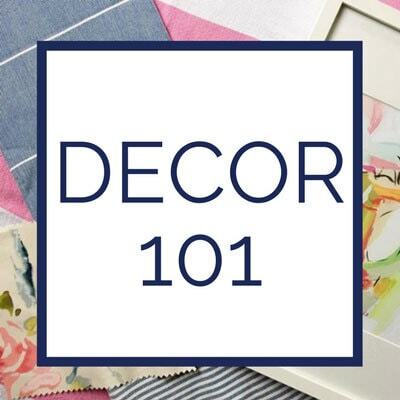 If it is a small project, I would recommend hand-painting with a roller and a paint brush and if it is a bigger project then using a paint sprayer will save you time. Amazing! It’s crazy what a coat of paint will do to a room. I’m not sure if it’s mentioned in the post, but where did you get the drift wood whale in the bathroom? love it! Such great tips Annie! I always worry that the cabinets will look streaky, so we haven’t ventured into painting them ourselves yet, but we may end up doing that in the kitchen. Hi Lukita! Good for you guys! I can’t see any problem with using the same paint. We have done the same thing for multiple projects. As long as the paint is not dried up and you have a good seal on it, it should be good to go! 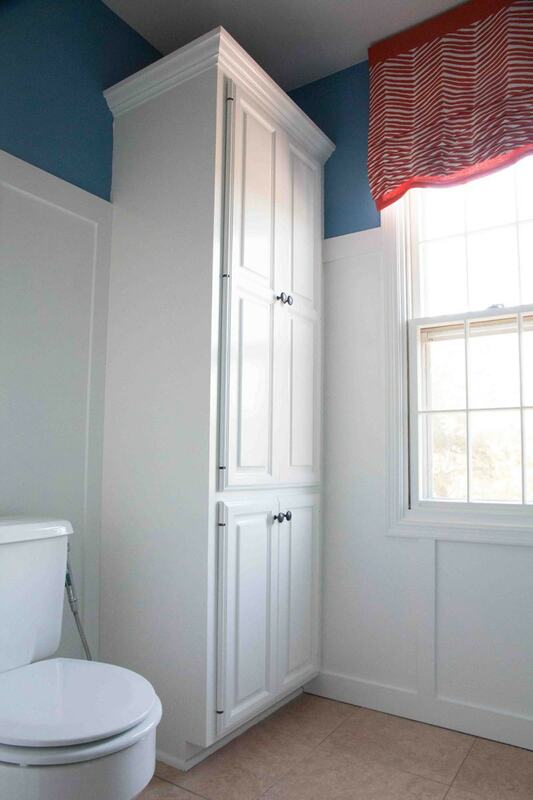 And with regard to the steam, we used cabinet paint (BM Advance) on our bathroom paint and have had zero issues with it. Good luck! 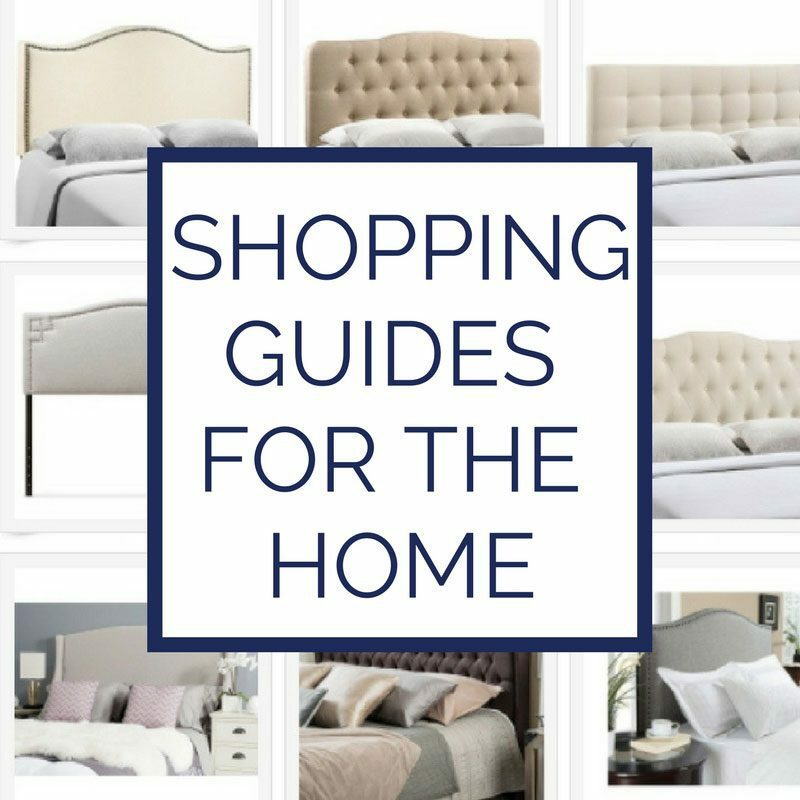 Great information, this has helped me re-think the possibilities of our renovation! I will have to paint EVERYTHING in the house, from cabinets to walls to trim, ceilings, and doors… ugh! I was wondering if you could share more about your experience and tips for using the sprayer to paint instead? I’m hoping if I can learn to use one properly it will save a lot of time and backache. Thanks so much and I look forward to reading more! Hi Brady! I hear ya! We have pretty much had to paint our entire home! So much work but so worth it! I will definitely give you more information on using a sprayer. I am actually working on a post for it so look out next week for it to be published! Thanks so much for commenting! That is an amazing setup and operation. ,I enjoy reading very well done, I have been refinishing furniture and cabinets since 1971 and yes it is possible! Hi Annie. I have read & followed the advice on your post. I decided to start with some old bedroom furniture before tackling the bathroom cabinets. I purchased a mini flocked foam roller for the paint coat, after applying the Zinsser Primer. I’m not thrilled with the finish. I know you said that a flawless finish would need to be sprayed. I don’t really wanna do that. Is there anything else that can be used to get a smoother finish on the tops & doors? Hi! My husband mentioned buying a paint sprayer and I was against it. Now that I have read your post 😀 I am on board! However, the words “we have this one” aren’t clickable and I am guessing there was or is a link tied to the words? Maybe it’s a problem on my end, but could you w/b what model paint sprayer you have? Thank you! Wow what great content you have! I’m going to follow your instructions and advice and dive in to my first ever vanity overhaul. In the instructions, you don’t indicate the sanding (ruffing up) stage but you do intend for that to be the step after cleaning the cabinets, right?? Yes, I do both. You are supposed to do a light clean, sand, and then wipe them down again. I hope this isn’t finding you too late! good luck! Thanks Annie. My cabinets turned out great thanks to your helpful tutorial. Hi! Great post/tutorial! I’m preparing to paint our bathroom vanity and came across your post. In the directions, 2. states to “gently wipe down the surface with this” but what is “this”? There wasn’t anything to click on. Hi Cate! So sorry that link didn’t work. It is supposed to direct to a microfiber cloth. Any clean microfiber cloth will do!